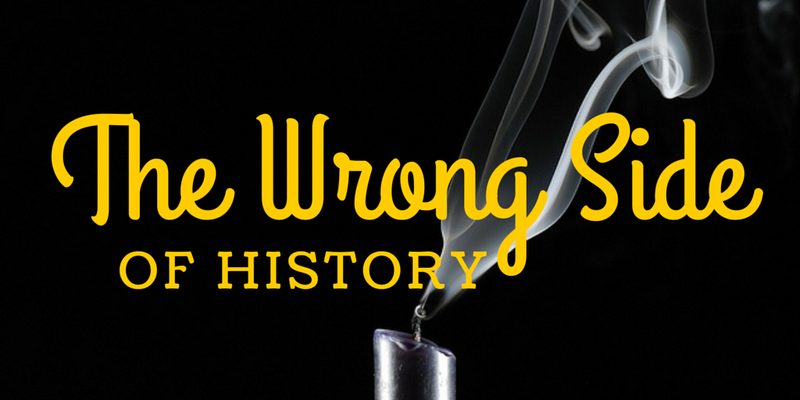 Sermon Leftovers: Do You Want To Be On The Right Side of History? Do You Want To Be On The Right Side of History? I understand the point. Culture is moving along a path, and the further we go, the more we realize that things we once thought were right, are not okay (and conversely, things we thought were wrong might actually be okay). People like Hitler, Stalin and Pol Pot are on the wrong side of history. Despite the success they had in their early years (and perhaps their later years as well), we look back and judge their actions as wrong. Any momentary success or glory they enjoyed has been rendered null by history. History can be an unforgiving jerk. One thing I’ve noticed, though, is that the line of demarkation which identifies the wrong/right side of history seems to grow more indistinguishable the further away it gets. And sometimes, it seems that maybe history isn’t sure about the sides on which some belong. Is Constantine on the right or wrong side of history? He effectively ended the persecution of Christians, but he also forced an entire empire to convert to his religion. Is Alexander the Great on the right or wrong side of history? He massacred millions of people just to expand his own fame, but his exploits also paved the way for Western Civilization to thrive and grow. Is Thomas Jefferson on the right or wrong side of history? He authored the Declaration of Independence, giving birth to our country, but he was also a slave owner and allegedly fathered illegitimate children with some of his slaves. It seems that maybe getting on the right side of history might be an almost insurmountable task. I’m exhausted just thinking about what it might take to get there. More importantly, should Christians ever want to be on the “right side of history?” As I look at the history of our world, it seems that humanity has been on a gradual but very consistent pathway that leads further and further from God. Since the garden, mankind has been asserting its autonomy and rejecting its creator. The cultural journey we are on is following a path that leads away from God.